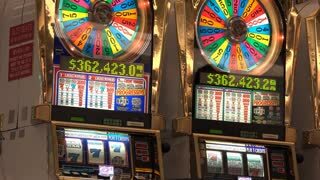 Search Results for "slot machines"
Slot machines videopoker glowing angle view. A slot machine - video poker room, with lights glowing in the dark. Silhouette man praying slot machines. A man praying God with a rosary in his old wrinkled hands, whispering words of faith and devotion. Dark silhouette over a slot machines hall. 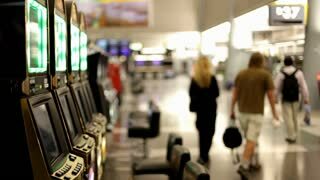 Slot machines fast montage editorial 1. 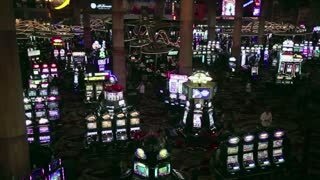 A fast montage of many slot machines inside a dark gamblers' room. Editorial use only. 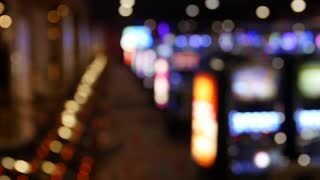 Slot machines videopoker neon bokeh. 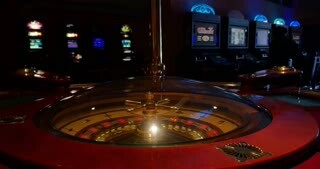 A slot machine - video poker room, with lights glowing in the dark. Big bokeh effect. Slot machines and gambling games in a dark casino floor flashing bright colorful lights, Las Vegas, Nevada. Tourists playing, walking and hoping to win. Don Despain of Rekindle Photo. Slot machines videopoker front view. 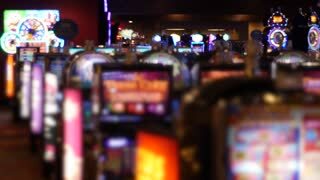 A slot machine - video poker room, with lights glowing in the dark. Slot machines videopoker silhouette playing. 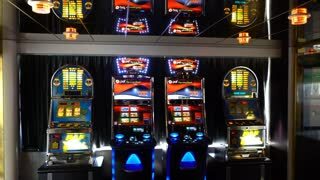 A slot machine - video poker room, with lights glowing in the dark. 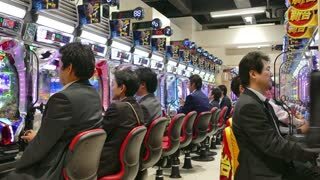 We can see a silhouette of a man playing at one machine. Bokeh - defocused shot. Slot machines videopoker bokeh center. 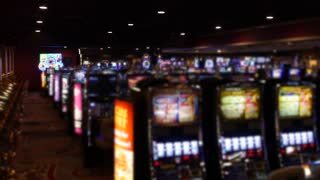 A slot machine - video poker room, with lights glowing in the dark. 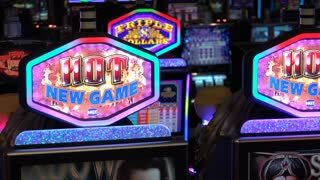 Close up of slot machines in a Casino.